Last November we brought news that a brand new slasher video game was being developed having to do with campers being stalked at a Summer camp and a few alumni were involved from the Friday The 13th franchise. Now there is more exciting news to announce as one of the biggest alumni of them all has joined up with the new video game Slasher Vol. 1: Summer Camp. So what can we expect from the game? Savini is a consultant on the game play and Manfredini is scoring the music while Hodder is portraying the killer, which we are sure means his body will be scanned in to give the game's killer a dominating presence. There will be 6-8 players where you can play as a counselor or the killer. The game will be available on PC, Xbox One and PS4. 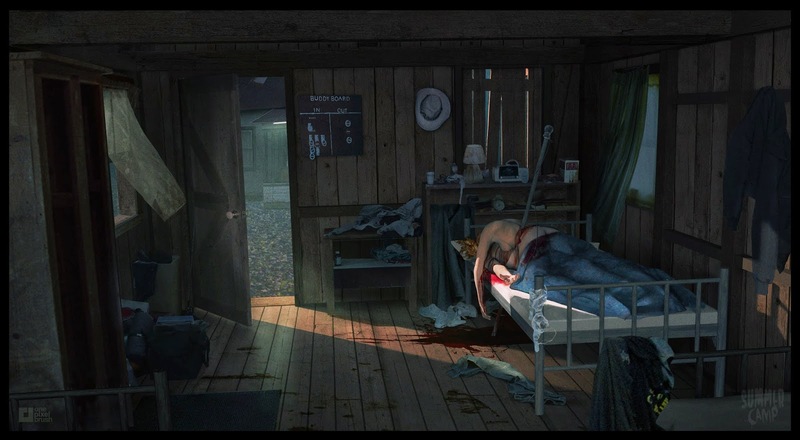 There is nothing else on the project for now, but check out some concept art and Kane's announcement video via Bloody-Disgusting for the game below. For more about the project, check out their website at summercampgame.com.